Louisiana State University Press, 9780807164693, 292pp. For as long Daniella has been married to Joel, they've received phone calls at odd hours, and late at night. Daniella knows the caller as Liesel, Joel's first wife, a woman whose sudden departure devastated her husband. After years of disruptive, long-distance phone calls, Liesel rings to tell Joel she's letting Idzia, the seventeen-year-old daughter he has never met, visit for the summer. Daniella and Joel prepare for Idzia's arrival, but when Joel goes to pick her up from the airport, Idzia isn't there. Back at home, the phone calls suddenly stop, and Joel and Daniella become haunted by the absence of someone who was never part of their life to begin with. 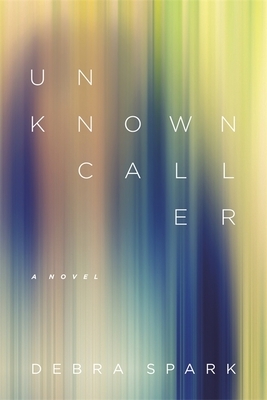 Debra Spark's fourth novel, Unknown Caller, tells the story of a brief, failed marriage and its complicated aftermath. Leaping effortlessly across decades and continents, it works to uncover the reasons for Idzia and Liesel's disappearance and the deeper puzzle of Liesel's identity. Spark's candid, intricate novel highlights the near-impossibility of truly knowing another person, the pain in failing relationships, and the joy in successful ones. Debra Spark is author of Coconuts for the Saint, The Ghost of Bridgetown, Good for the Jews, The Pretty Girl, and Curious Attractions: Essays on Fiction Writing. She is a professor at Colby College and teaches in the MFA Program for Writers at Warren Wilson College. She lives with her husband and son in North Yarmouth, Maine.